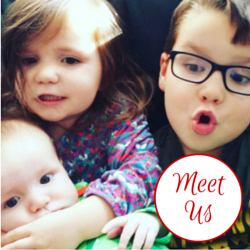 I've been featuring a few Mother's Day gift ideas and today I'm going to bring you a few more. I love Tatty Teddy from Me to You. this cute little grey bear and his friends regularly features on the cards and gifts I send so when I saw the Mother's Day gift range I was very pleased. Tatty Teddy features a range of gifts this Spring which are sure to delight any mum. With a cute photo frame, a 'World's Best Mum' bear, apron, mug and stencil set and shopping list pad I'm sure that anyone could find perfect gift for their Tatty Teddy fan mum. I was sent the apron and photo frame from the range to try out. Aprons are one of those things that you don't really think you will use until you're trying to feed a baby and get ready for a meal out at the same time! I use one fairly regularly but my old faithful apron is really plain and boring. 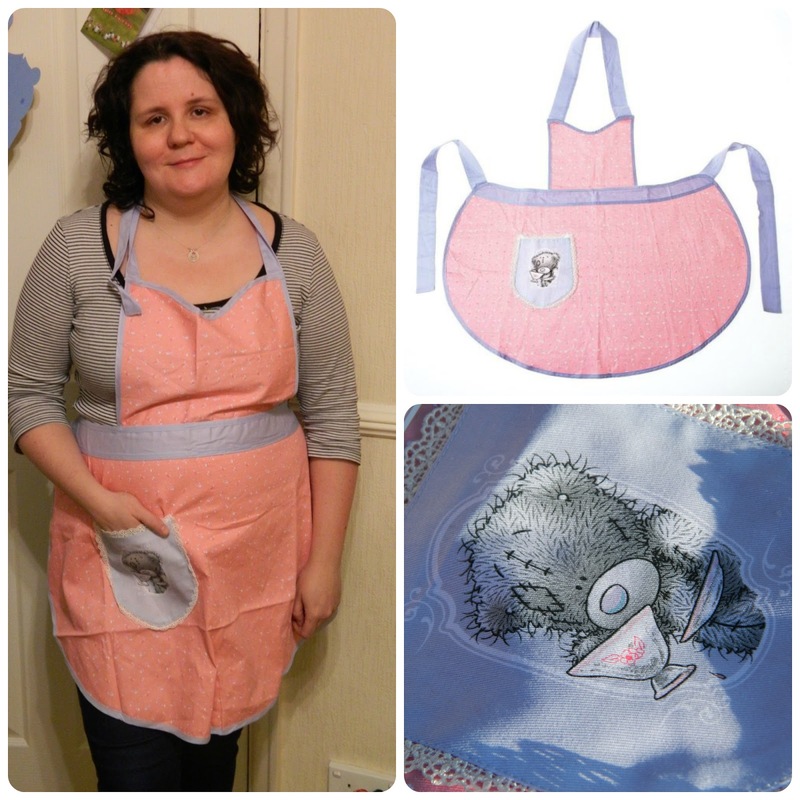 The Tatty Teddy Mother's Day apron is super cute. With the customary pink and blue colour scheme of the rest of the range, it is so sweet. The straps tie at the back of the neck and at the waist so it's fully adjustable and will fit anyone. The pocket is really useful, I tend to pop my mobile phone into it when I'm wearing it to cook. I love the 1950s styling of this, I think it would look great over a full skirted prom dress for the compelete fifties feel! At £12 this is a great price and would make a lovely gift for any mums who love to bake, or have children with grubby hands like my two! We were also sent a small glass 'Mum' Photo frame. This is decorated with a little picture of Tatty Teddy drinking his tea, just like the one on the apron pocket. It will fit a photo measuring 3.25 x 3.25 inches (83x83mm) and is beautifully presented in a gift box. The frame mount is a pretty mint green. I know someone this would be the perfect gift for. My Mother in Law loves cute little photo frames like this one and adding a photo of the children to it would make a lovely, personal gift for her. It's great quality and you could always pop it back in the gift box once you have added a photo. At £8 I think this is great value for money and a pretty gift. The Tatty Teddy Mother's Day range is available from the usual stockists and Amazon. Disclosure: We received these products in exchange for an honest review.